The Management, Engineering, Manufacturing, Marketing, and Custodial departments of Teleport. 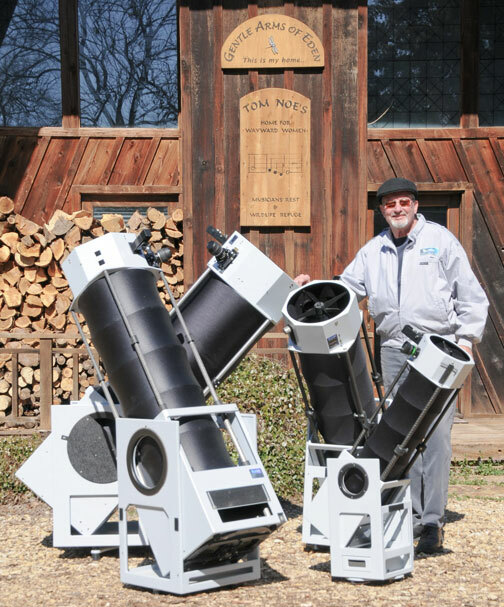 Also shown above are the 7", 10", 12.5", and 14.5" telescopes . One hundred and fifteen have been made from 1998 to 2010. 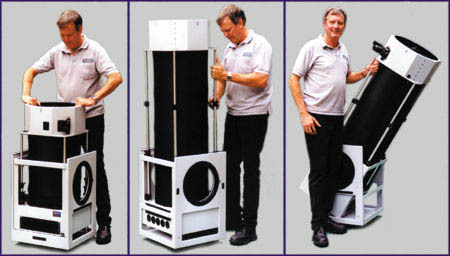 Each Teleport telescope is a small, light, complete package that sets up in about a minute! Here's Tom setting up the 14.5" Teleport.